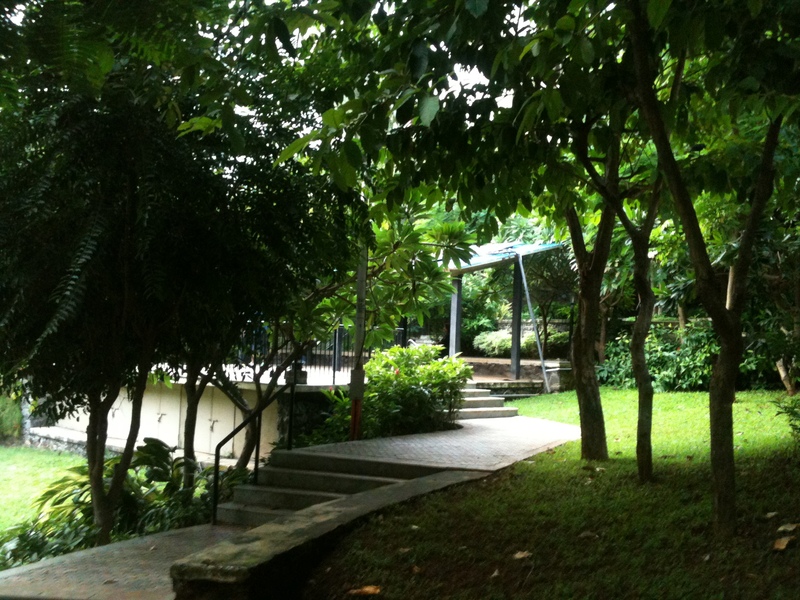 The past few blogs I have tried to explore parks which don’t have big areas, but that are sufficiently developed. 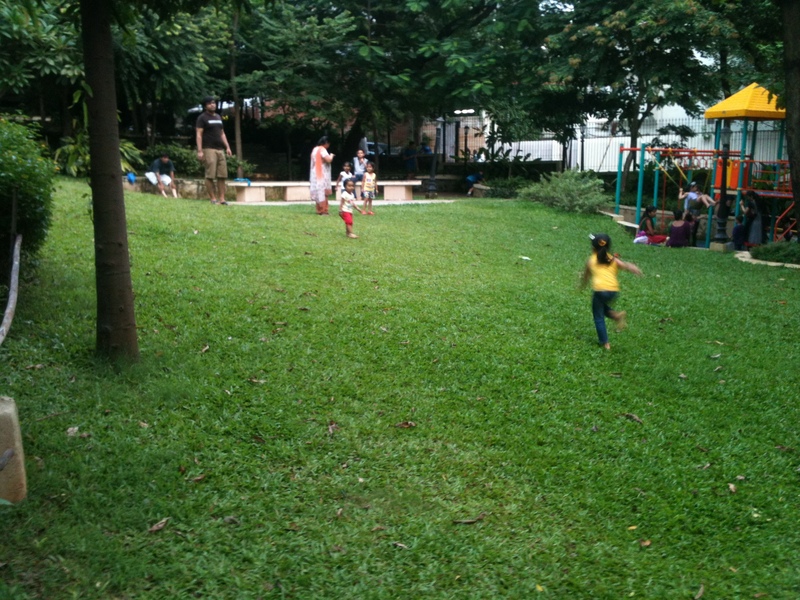 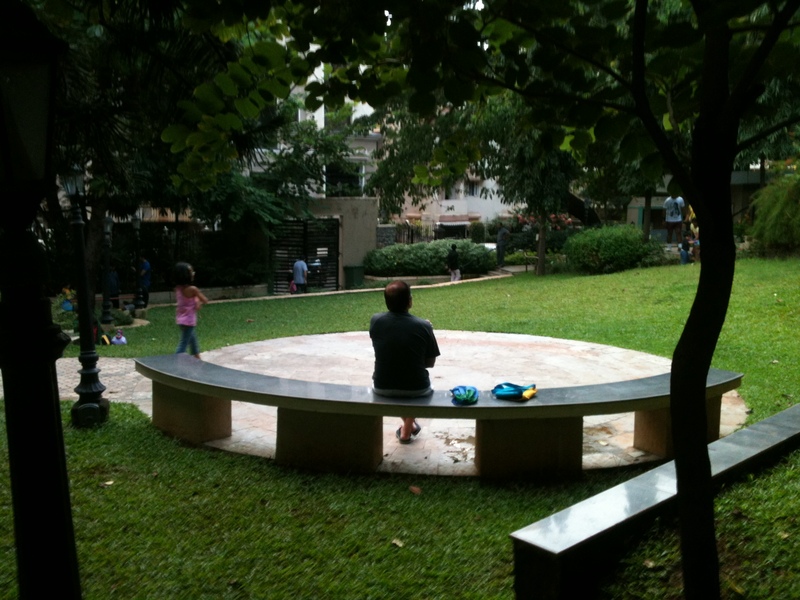 In a city like Mumbai where every square inch of land is watched like a hawk, frequently located small parks are the only solution to crowded spaces. 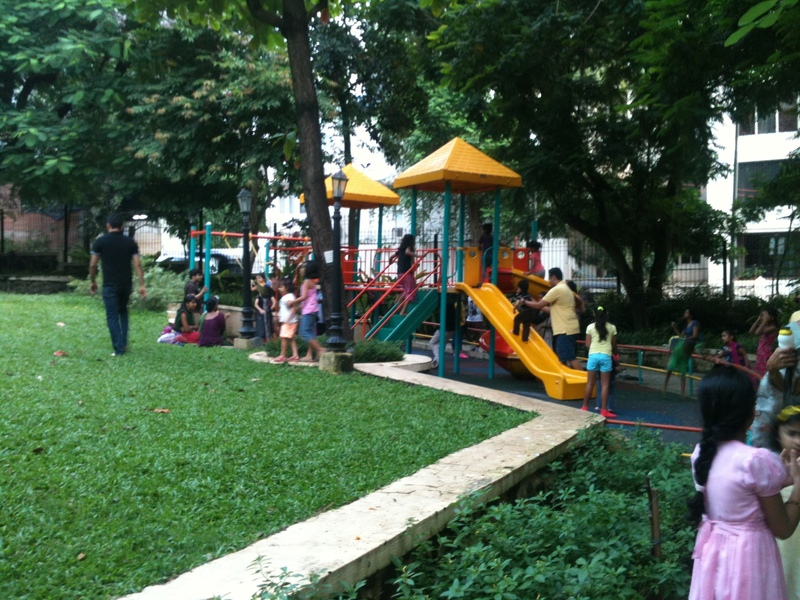 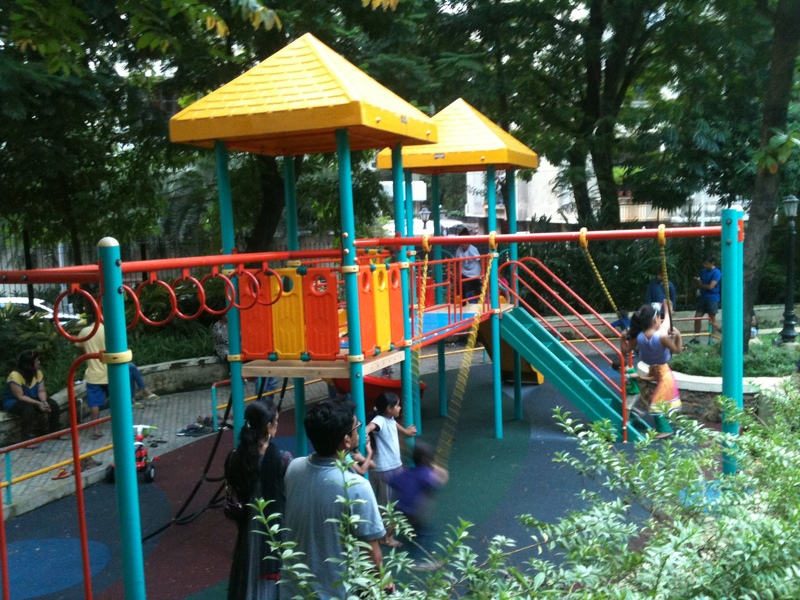 Union Park is located in the midst of many towers in the neighbourhood of Bandra West. 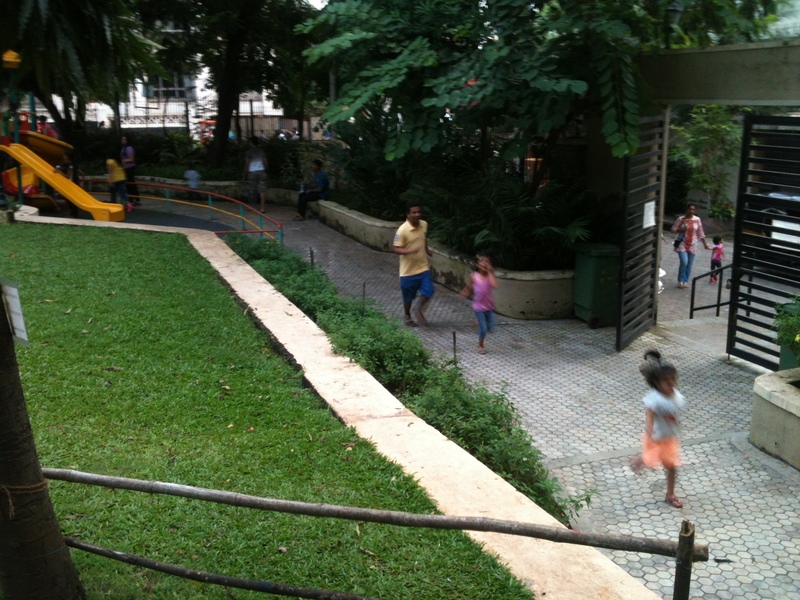 This is a very small park with contours in them. 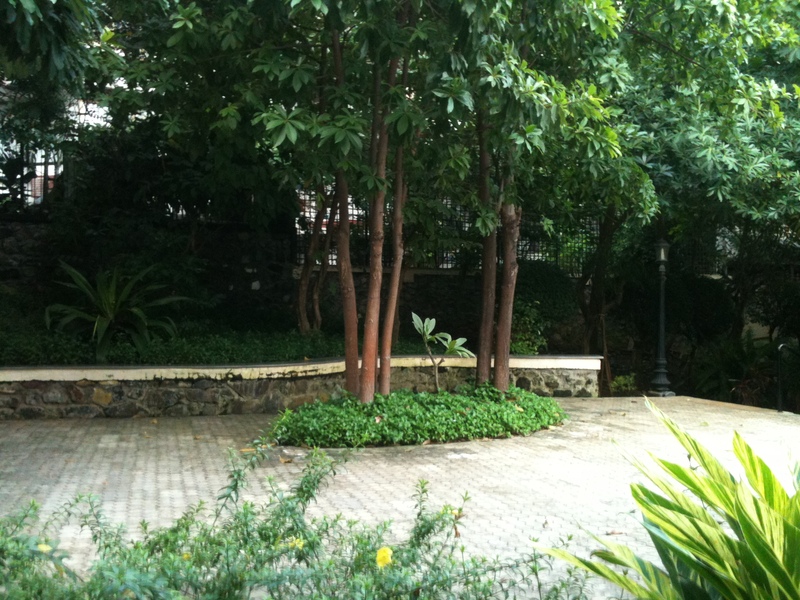 I don’t know if it was just the weather that day or the surroundings, but being in tucked in between tall towers seemed suffocating. 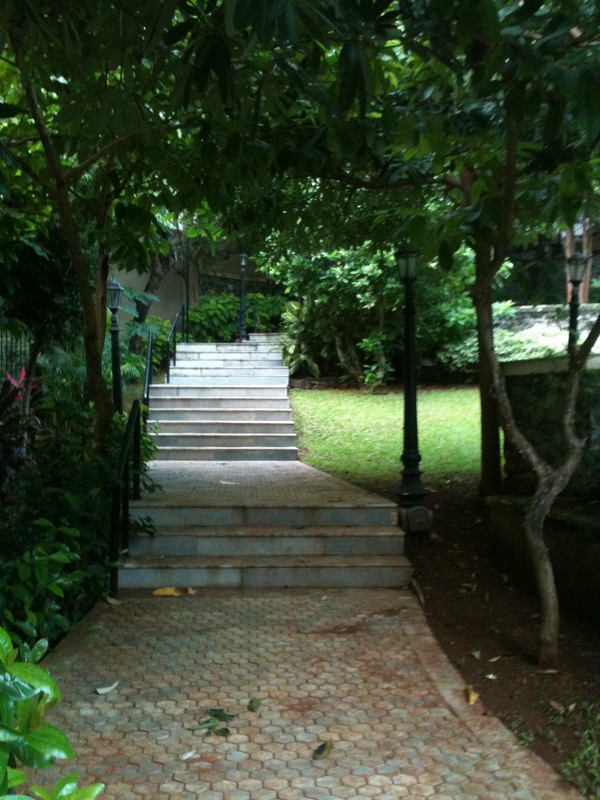 The stepped walking tracks probably give you an extra punch during your morning walks. 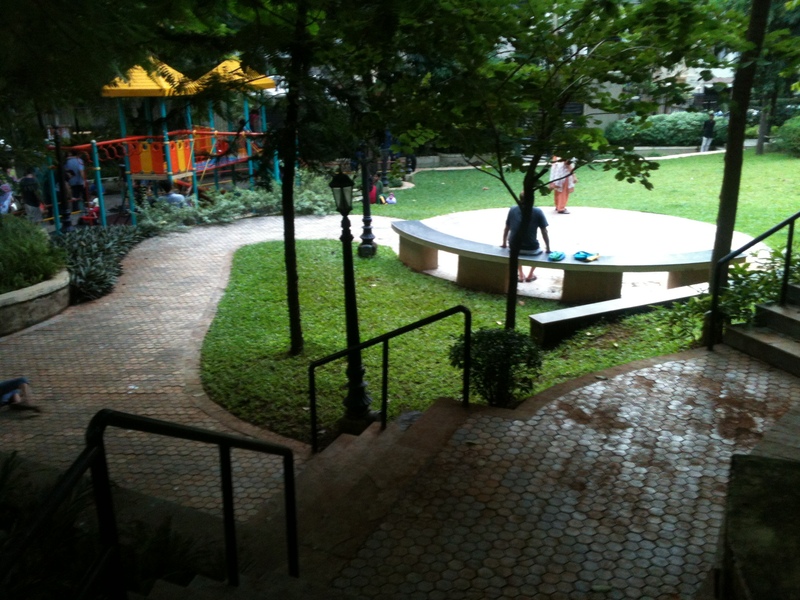 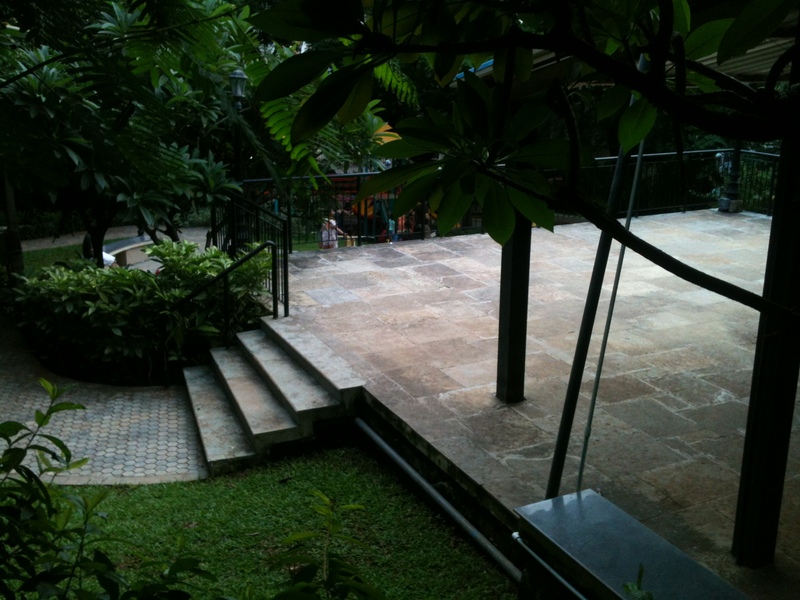 Amphitheater and seating arrangement where some kids were practice dance. 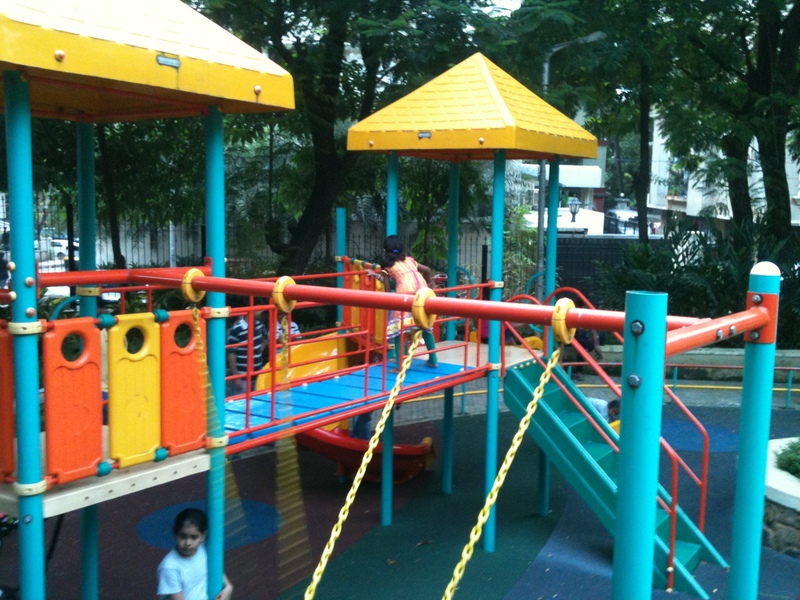 Not very huge but this play equipment is well maintained and seemed sufficient. 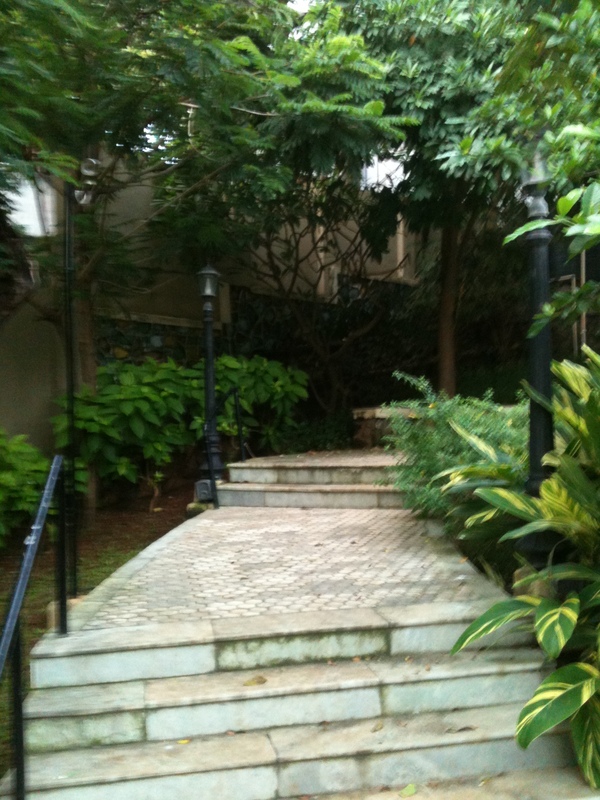 Overall it is a very well kept garden, just enough to spend few hours in the morning and evening.